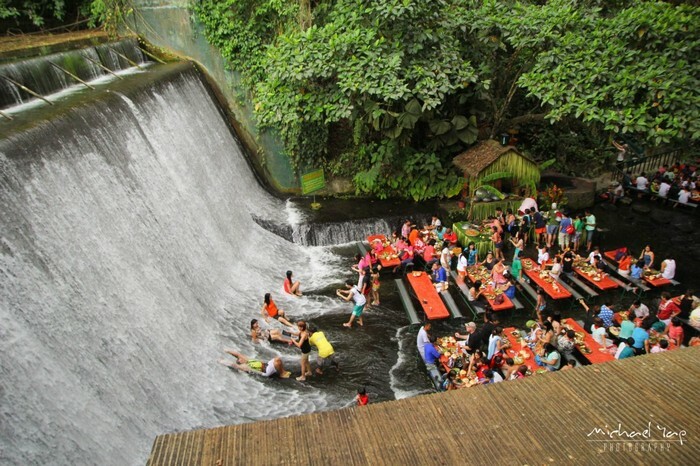 Waterfalls Restaurant in the Philippines is our suggestion for those who have a desire to experience new things this summer! 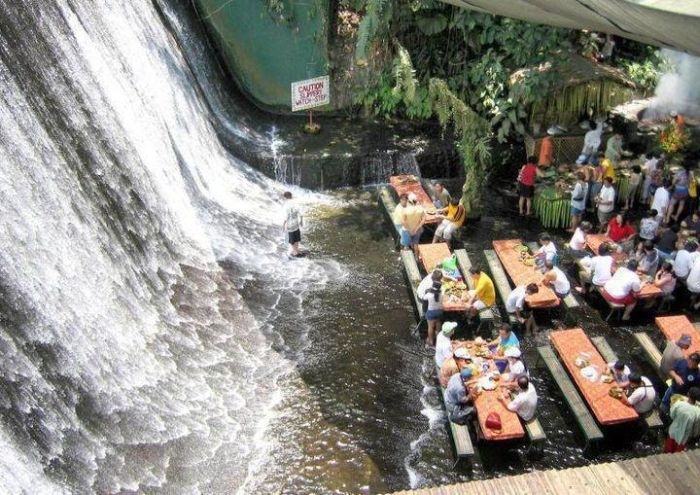 How about a refreshing lunch very close to a waterfall (and by close we mean… at the base of the waterfall, feeling water flowing over your feet). Maybe it sounds dangerous but we assure you that you have nothing to worry about, not in this case. 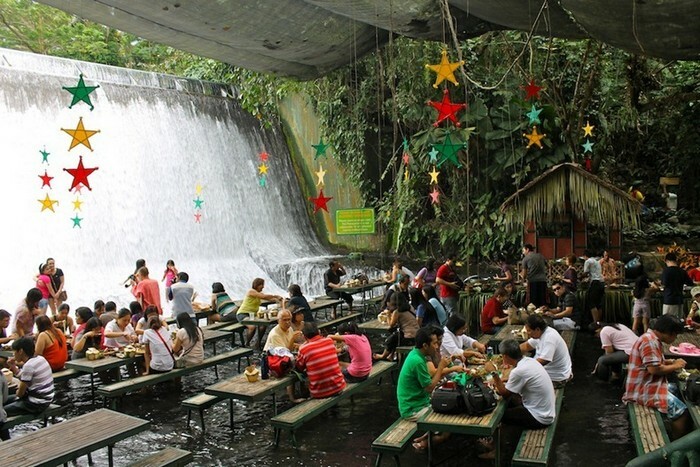 Villa Escudero Resort in the Philippine offers the chance to go through this one of a kind experience. 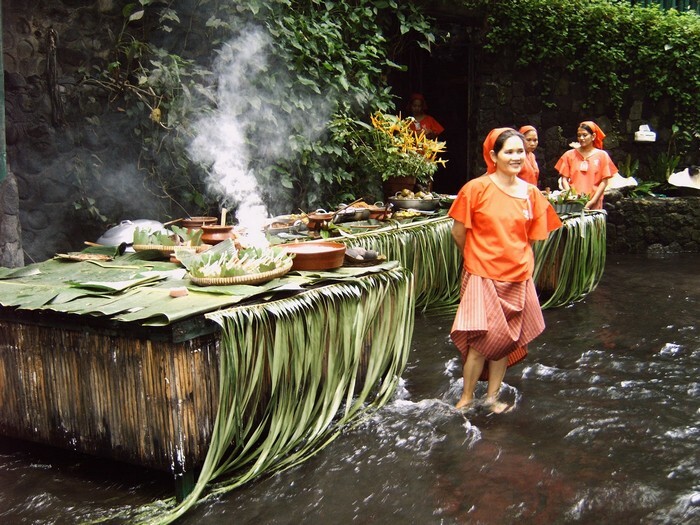 One of the main attractions of this resort is a waterfall restaurant, where you can serve traditional food and admire the landscape. 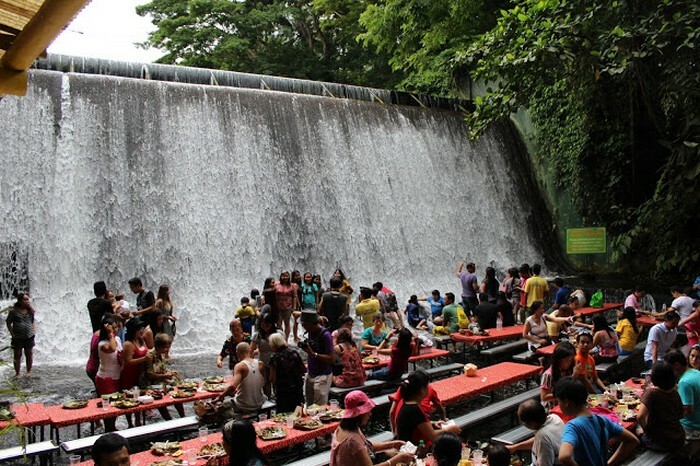 The bamboo dining tables are situated only a few feet away from the waterfall, thus allowing a beautiful view and a cool, refreshing atmosphere. Those who want to reach a new level of relaxation can lie close to the water covered wall and enjoy an incredible massage. 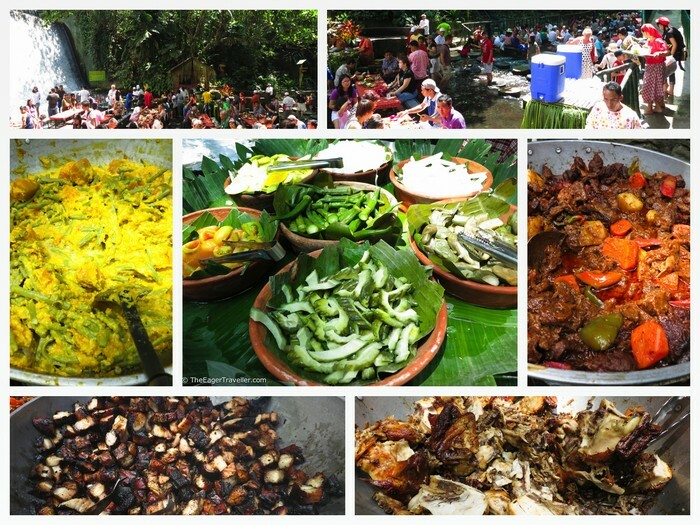 Other services offered by Villa Escudero include paddling a native bamboo raft on Kake Labasin and touring the rural village on board a colorful jeepney in order to learn how coconuts are harvested. 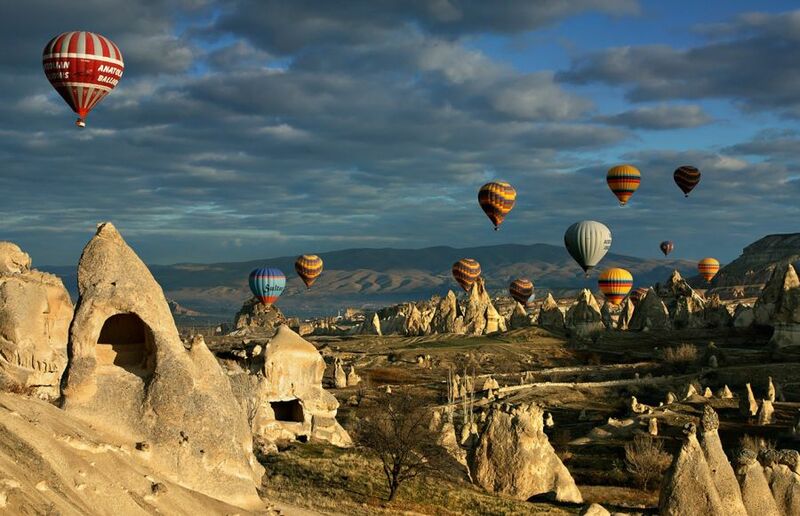 So what do you think, would you try this if you got the chance?